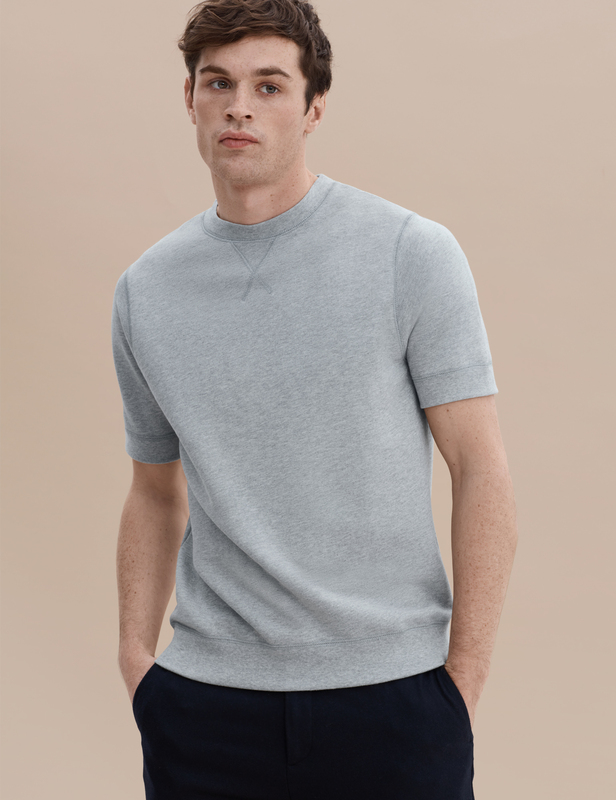 Refine your off-duty lineup with our elevated interpretation of this sporty staple. 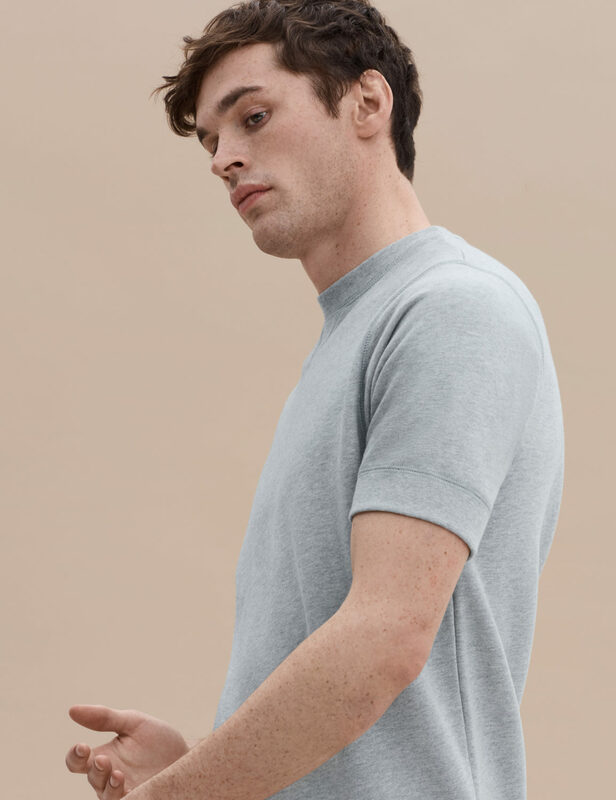 Our short sleeve sweatshirt is handmade from exceptionally soft, yet structured, classic loopback French Terry fabric with a reinforced ‘V’ at the neck that furthers its vintage aesthetic feel. Don’t save yours for the gym. 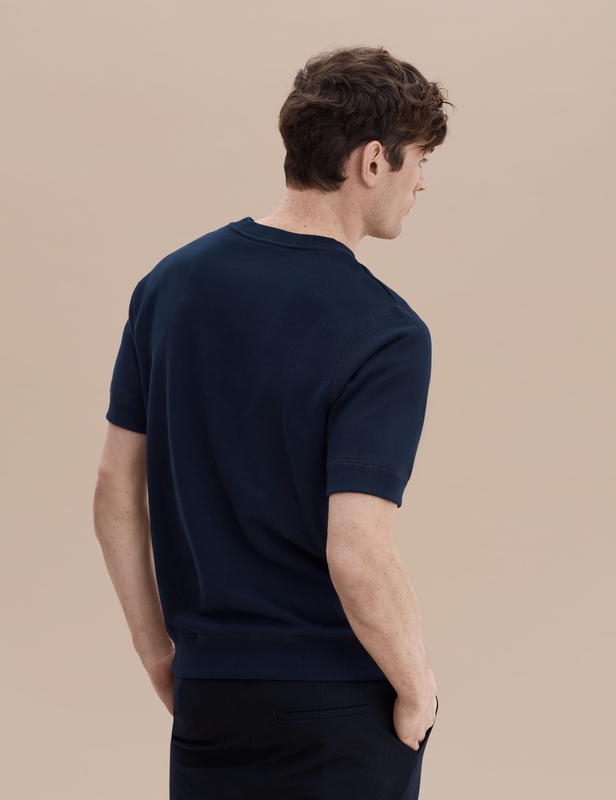 This product is made with the finest French Terry fabric crafted from Peruvian Pima cotton. 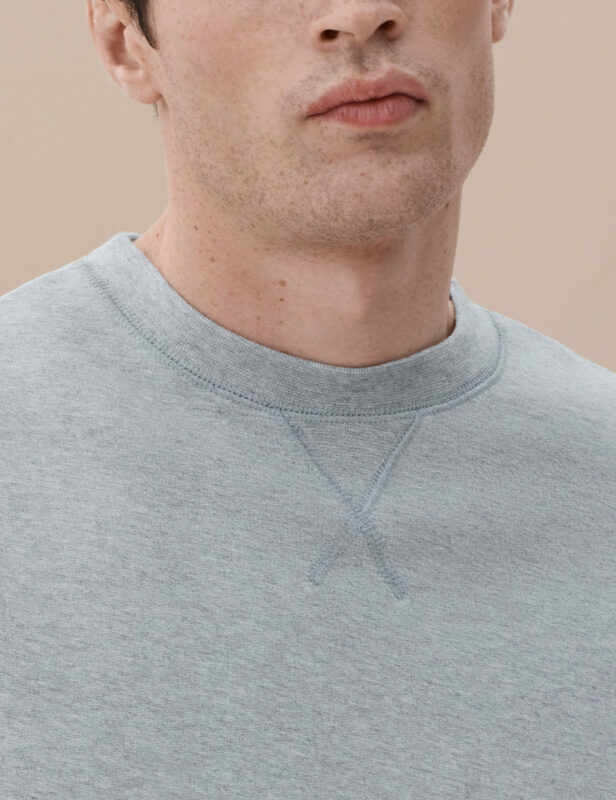 The semi-fitted cut is ideal for layering over your favorite tees.